Austin Poganski told Brad Schlossman that this was his favorite quote last June and after finishing his junior season at UND, Poganski keeps making the most of his shots. Poganski, a junior from St. 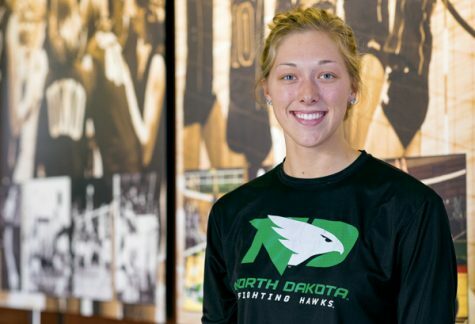 Cloud, Minn., was named UND’s new captain on Tues. April 11 by head coach Brad Berry. 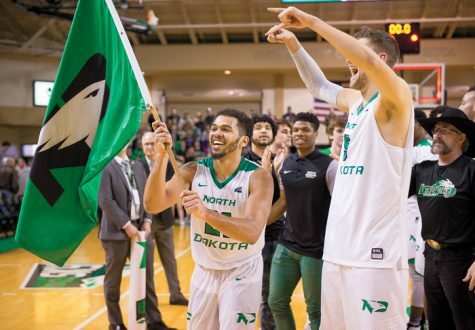 With former captain Gage Ausmus graduating, UND was in need of a new leader and Berry found the perfect man for the job. 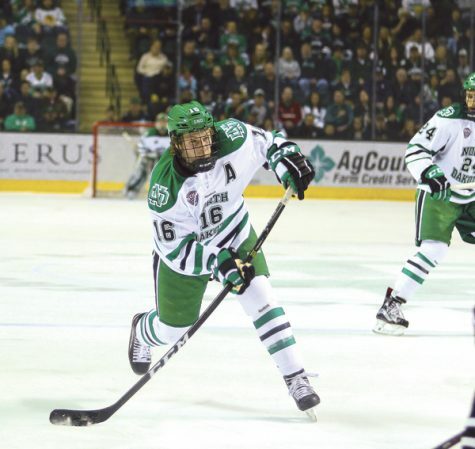 Indeed, Poganski’s play over his three seasons at UND has earned himself a shot at team captain. He has been a stalwart on the top-three forward lines the last two seasons, playing in every one of the team’s games, including being the only player on the 2016 championship roster to play in every game. Poganski has also provided consistent point production with season totals of 14, 25 and 25, placing fifth on the team in points the last two seasons. As a hard-nosed, gritty player on both ends of the ice, Poganski has developed a reputation for playing a brand of hockey that makes a team better. Looking back on Poganski’s hockey career, his success with the Fighting Hawks should come as no surprise. 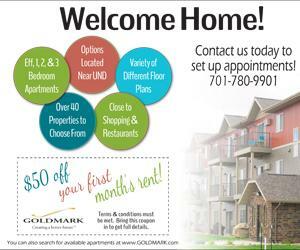 Before arriving in Grand Forks in 2014, Poganski was one of the top high school prospects in the state of Minnesota. Playing high school hockey at St. Cloud Cathedral, Poganski was ranked as the 10th best junior in Minnesota high school hockey when he committed to UND in 2012. Forgoing his senior season, Poganski finished with 81 goals and 75 assists for 156 points in only 80 games. After high school, Poganski played a full season in the United States Hockey League (USHL), the top junior hockey league in the U.S., for the Tri-City Storm in Kearney, Neb. There, he posted respectable numbers of 19 goals and 12 assists for 31 points in 55 games, yet had a +/- of -27. The dip in his defensive production dropped him to a fourth round pick in the 2014 NHL draft by the St. Louis Blues. 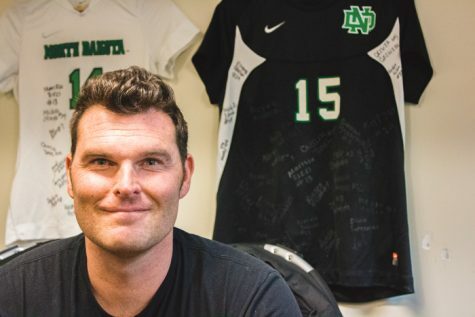 Nevertheless, Poganski joined UND in 2014 to prove that he could play an important role on the UND squad. Mainly on UND’s fourth line, Poganski had a solid first season with the club, posting 14 points and a +/- of +11, producing on the offensive and defensive ends. This led to an increased role in 2015-16 that saw Poganski break out and find his way on UND’s top-three lines. 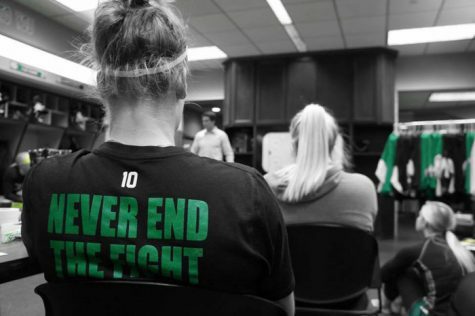 Additionally, Poganski began to play against the other team’s top lines as one of UND’s top defensive forwards. At season’s end, Poganski had 10 goals and 15 assists, including the fifth goal in a 5-1 championship win over Quinnipiac. After posting solid numbers in his sophomore season, Poganski was named one of the assistant captains in his junior year. Playing on the top two lines, Poganski posted a career high in goals with 12 and tied his career high in points with 25. His game-winning goal against No. 1 Denver in the NCHC semifinal sealed UND’s 15th straight NCAA tournament appearance. Off the ice, Poganski has made three straight NCHC Academic All-Conference Teams, becoming the epitome of a student-athlete. 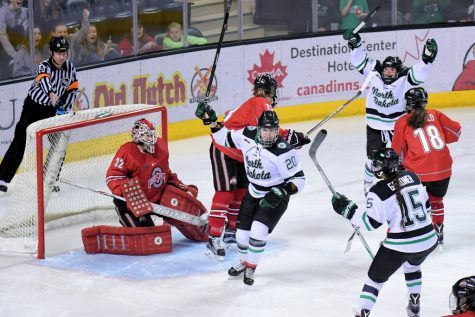 After losing to Boston University in a 4-3 double overtime game in the first round of the NCAA tournament, Poganski looks to lead the Hawks to the NCAA tournament for a 16th straight season with the goal of bringing a ninth national championship to Grand Forks. Although UND has lost key contributors in Brock Boeser, Tyson Jost and Tucker Poolman, Poganski will be one of four seniors to return for the 2017-18 season, double the amount from last season. Two of the other seniors, Johnny Simonson and Trevor Olson, were also named assistant captains and Berry sees that as a boost for his club going into next season. And Poganski could not be more excited to head the leadership group, as well as the whole Hawks team. 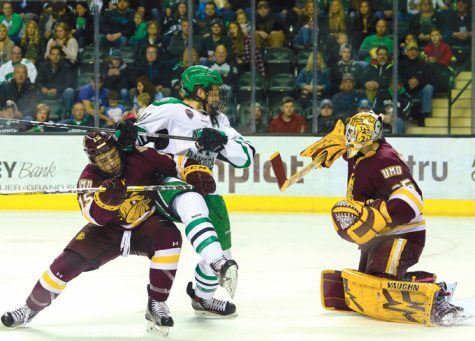 UND junior forward Austin Poganski is blocked by Minnesota Duluth’s Willie Raskob (left) as Poganski charges goalie Hunter Miska in a game earlier this season. Poganski was recently selected as team captain of the UND men’s hockey team for the 2017-2018 season.